Slow cooker or crock pot – whatever you call it, the fact is that a crock pot makes cooking easy and virtually mistake-free. In this list, we detail 25 crock pot recipes that are a cinch to make and also super tasty. And, all you need to do is drop the ingredients in and return later for the finished product. Dinner just got so much easier! 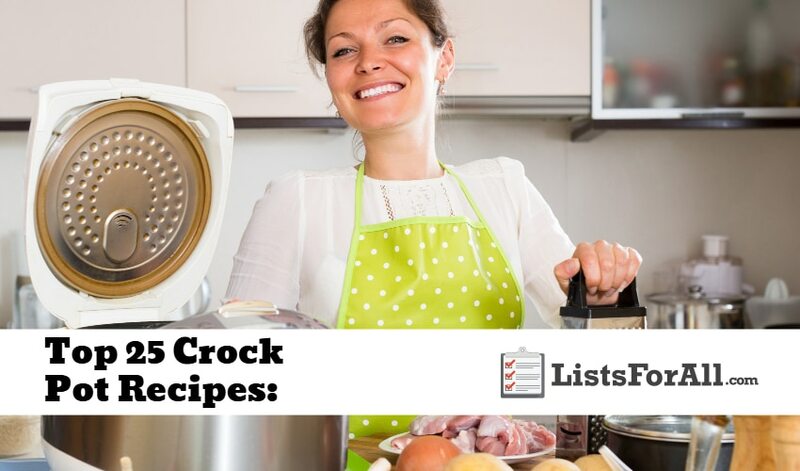 Also, this list is going to provide crock pot recipes for a large variety of dishes as well. Everything from appetizers and main courses to desserts are on this list. So whatever type of dish you need to make, the recipes on this list should have you covered. Now, get that crock pot out of your pantry, and start enjoying easy, delicious meals. For even more recipe lists, check out our list of the best soup recipes and our list of the best grilling recipes. Staying in to cook never tasted so good! 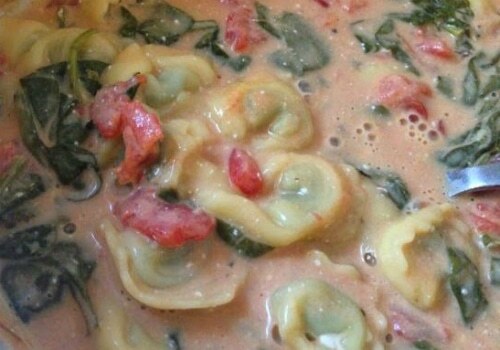 This cheesy tortellini soup is creamy, delicious, and filling. And the best part, it only requires five ingredients, making it perfect for a busy workday meal. Add some bread and salad for a complete and easy meal. Leftovers can also be quickly heated up and taste delicious as well. 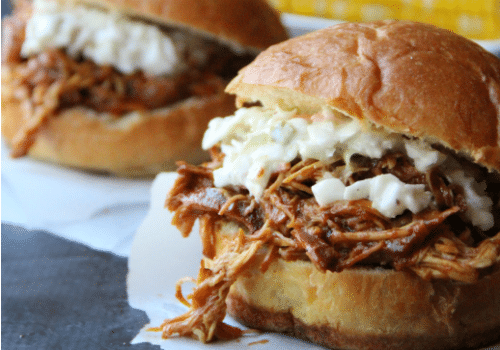 With an 8 hours cook time, this BBQ pulled pork recipe is the perfect dinner to throw in the crock pot before you head to work in the morning. 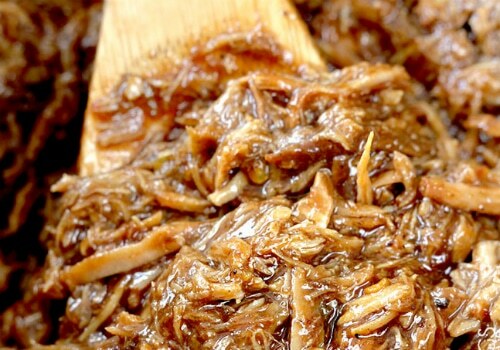 Seasoned and cooked in Cherry Coke, liquid smoke, orange zest, ginger, paprika, red pepper flakes, and barbecue sauce, this pulled pork is tender, smoky, and a little bit sweet. 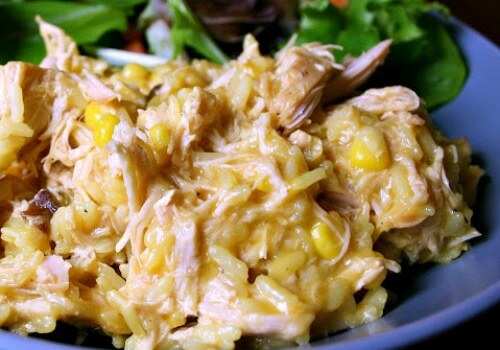 The addition of sweet corn and Zatarain’s yellow rice in this Cheesy Chicken Rice recipe is a nice departure from the traditional chicken rice casserole recipes. Vegetables like broccoli and spinach can also easily be added to this recipe, which amps the flavor and the health benefits. Just when you think that there isn’t anything else a crock pot can do, you get a delicious ribs recipe. These glazed pork ribs are full of flavor and are fall off the bone tender. 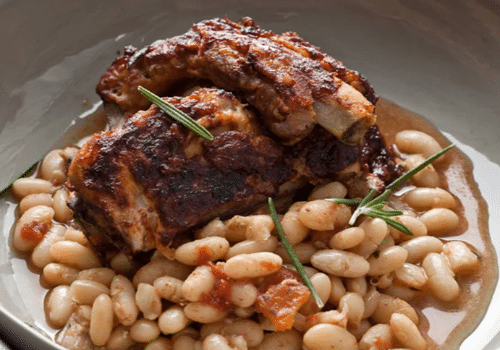 Along with ribs, this recipe also includes beans that are going to make an excellent side dish. So for a barbecue style dinner, give this glazed pork ribs recipe a try. These pork carnitas tacos are going to include so much flavor it is ridiculous. Along with excellently seasoned meat, this recipe includes pineapple, pickled onions, queso fresco, and a zesty cilantro lime avocado dressing. All of this flavor is going to come together flawlessly for tacos that you are going to want to have on the regular. 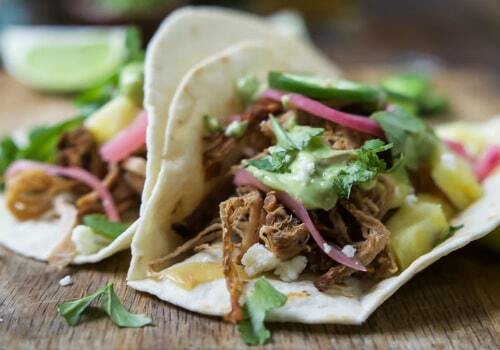 So next Taco Tuesday, or any time you are craving tacos, give this pork carnitas taco recipe a try. You may be thinking that there is no way that you can get a crispy, golden pizza crust in a crock pot. If that is the case though, you would be wrong. This crock pot recipe is not only easy, but it turns out a pizza that is better than a lot of oven-baked pizzas. 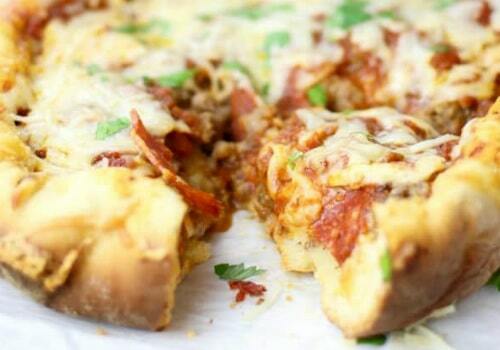 So next time you are craving pizza or for game day, use this crock pot pizza recipe. And, with all of the different topping options, you can customize your pizza however you would like to. 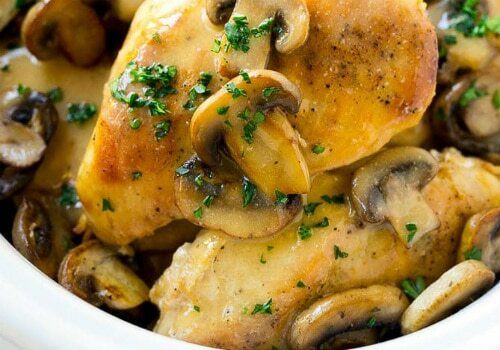 You don’t need to go out to a fancy Italian restaurant to enjoy a delicious chicken marsala meal. And, while there are a few other steps in this recipe then just dropping in all of the ingredients in the slow cooker and walking away, it is totally worth it. Serve this for the next family dinner, and you will have your family thinking you are an Italian chef. Chicken and rice should be a staple of family dinners. It is not only easy to make, but it is also going to be tasty and filling. With this crock pot chicken and rice recipe, you will be able to create a consistent meal that your family will enjoy each time. Also, with the ability to add in different vegetables to the rice and chicken, you will be able to have some variation each time as well. Also, this is an excellent dish for larger group events. So if you are planning a gathering at your house, consider this crock pot recipe. 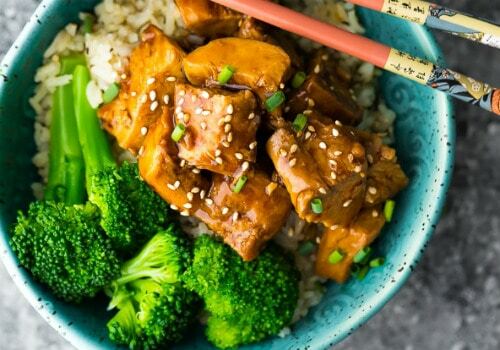 Forget Chinese takeout; this crock pot teriyaki chicken recipe is going to have everything you could want. Not only does it offer the ease of cooking with a crock pot, but it is also delicious. This recipe calls for ingredients that are going to bring flavor to the forefront of every bite. Now add in the fluffy white rice and steamed broccoli, and you have everything an Asian inspired meal could need. It is usually pretty hard to beat a ranch and chicken combination as they pair so well together. This recipe is going to take full advantage of that as you will end up with everything that you could want in a ranch and chicken meal. And, all with the ease of using a crock pot to make it. So the next time you are craving comfort food, or need to feed a large group, consider using this recipe. 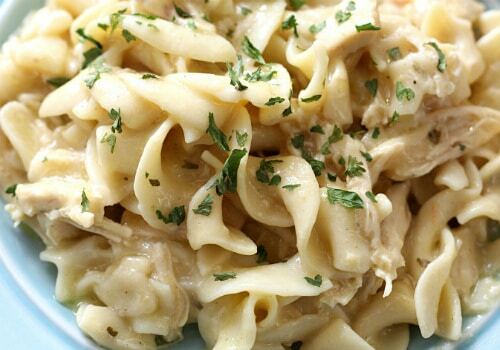 If you love chicken and pasta, this crock pot recipe is for you. Full of flavor, this comfort dish should be a regular dinner staple with your family. And, along with making a great dinner, it also heats up well for leftovers the following day. So make sure to make extra for leftovers. 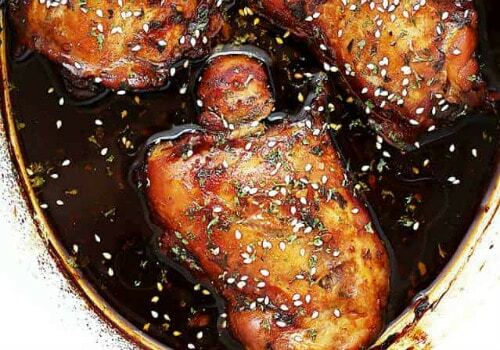 If you love flavor, look no further than this honey garlic chicken recipe. The chicken will be able to marinate and cook for hours in a tasty honey and garlic sauce that you can come back to later. The end product is fall off the bone chicken that has flavor through and through. 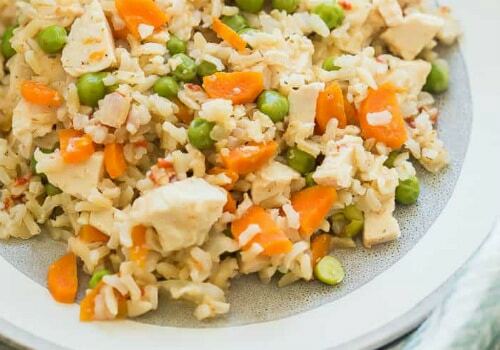 This chicken recipe is excellent on its own or over rice with a side of vegetables. 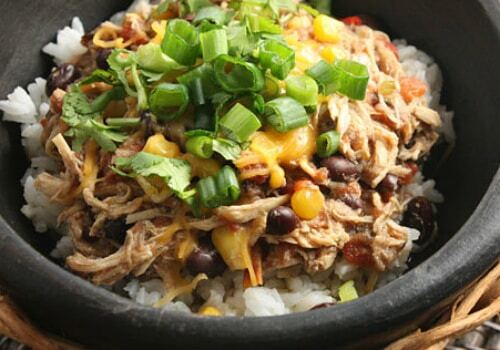 This tasty Southwest chicken is going to be the perfect meat for a taco, burrito, or rice bowl. The garlic powder, onion powder, cumin, and cayenne pepper all come together for a well-seasoned chicken. With the addition of rice and black beans as the base and all of your favorite toppings, this is a Mexican food lovers dream. So next Taco Tuesday, give this Santa Fe Chicken a try, we promise that it will live up to all the hype. 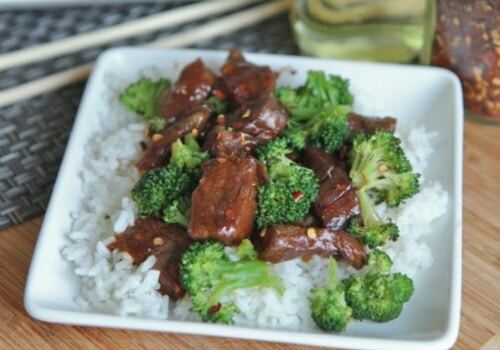 This slow cooker beef and broccoli dish is another excellent Asian inspired meal. The flavoring of the beef is going to go perfectly with the steamed broccoli and white rice. This flavoring is highlighted by onions, garlic, and ginger. And, with extra sauce in the crockpot, you will be able to smother your rice and broccoli in it as well. Some soups are starters, and some are hearty and full meals in themselves. This potato soup recipe is going to fall into the latter category. The potatoes and ham are going to be the substance of the soup, while the onions and celery will compliment. 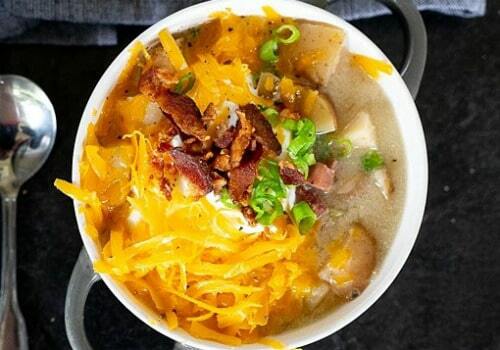 And, with a topping of sour cream, bacon, and cheese, you are going to have everything you could ask for. 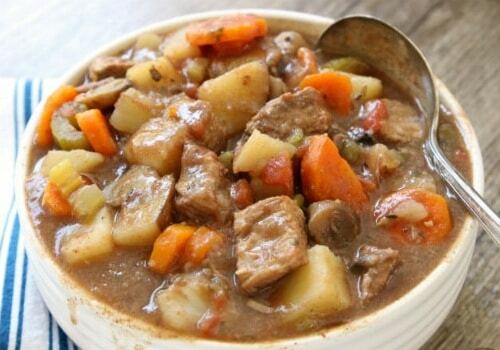 Perfect for cold days, this beef stew is both great tasting and filling. With hearty pieces of beef, potatoes, carrots, celery, and more, this stew should be on the top of your cold day foods list. To make this stew even that much better, make sure that you have a good dipping bread to go with it. This recipe is so good that it will have you staying in to eat the next time you are craving BBQ chicken. With tons of flavoring, this BBQ chicken can be shredded and used for a sandwich or eaten on its own. If you do go the sandwich route, make sure to have some cole slaw on hand to top your sandwich with. 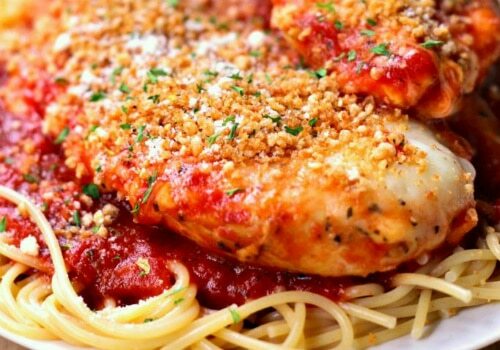 This classic Italian Chicken Parmesan dish tastes wonderful coming from a slow cooker. 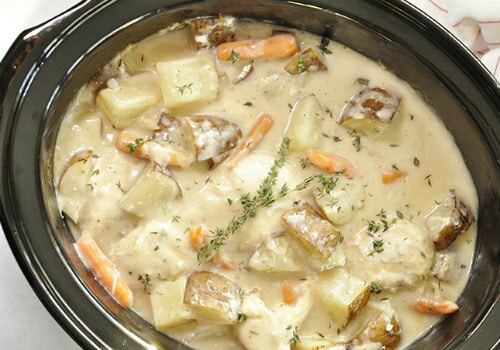 The chicken is moist and flavorful, and the crock pot cooking gives you the ability to spend less time in the kitchen. Add some pasta for a complete meal, and you will have a family favorite on your hands. This cake is often affectionately referred to as a ‘dump cake.’ The reason why is because all you need to do for this recipe is dump your ingredients into your crockpot and then let them cook. Then when you return hours later, you will have a delicious cobbler. The ingredients for this dump cake are cherry pie filling, cake mix, Dr. Pepper, and butter. If you have a Dr. Pepper fan in your life, give this tasty cobbler a try! This side dish is a breeze to make but still delicious. The recipe calls for frozen cubed potatoes, ensuring that even the busiest of cooks have time for this dish. 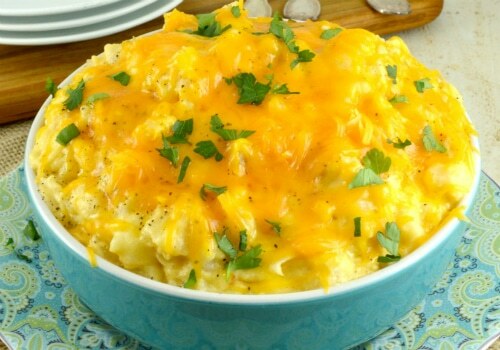 Comforting and creamy, you are sure to get rave reviews from these cheesy potatoes. This hearty and delicious side dish is sure to be a family favorite. A sweet and tangy brown sugar molasses sauce marries the three different kinds of beans, beef, and bacon together into one glorious and tasty dish. 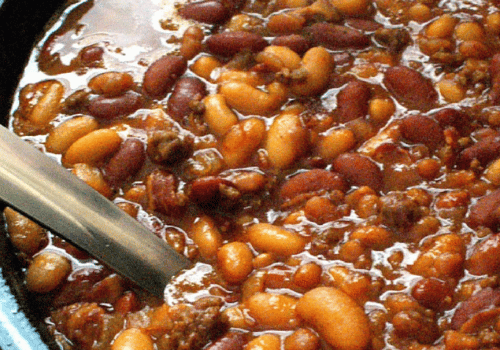 While great any time of the year, these Cowboy Beans are especially good on a cold evening. This recipe is great as both an appetizer or party food. 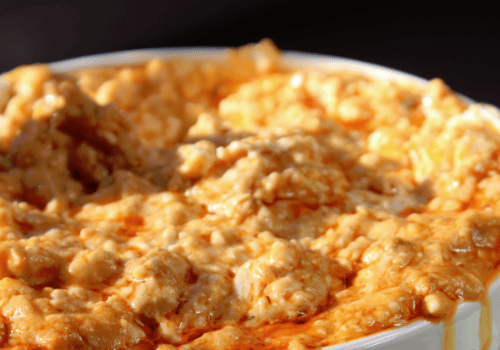 The buffalo chicken dip in this recipe is easy to assemble and only requires two hours of cooking time. Simple ingredients like chopped rotisserie chicken, cheese, ranch, hot sauce, and butter are easy to obtain and taste magical when combined in this recipe. A twist on the traditional pot roast recipe, this Mississippi Pot Roast calls for the addition of peppers. The peppers add a nice background note to the tender, delicious meat, and the leftovers (if there are any!) are truly tasty. 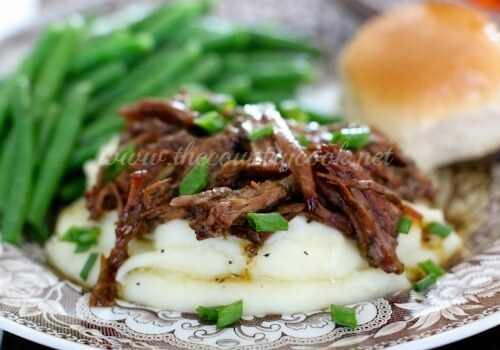 If you love a good pot roast, this recipe is a must-try. Bacon, cheese, and mushrooms – there aren’t many combinations that are better than that. And thankfully, this recipe has all of them! 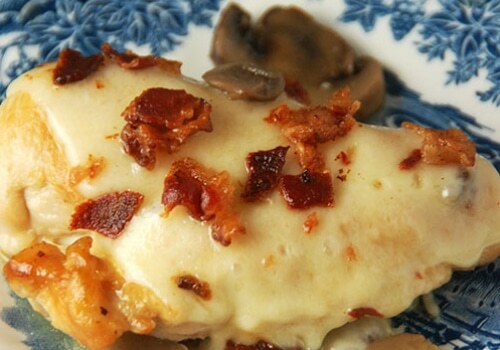 Add some chicken to the mix, and the bacon mushroom Swiss chicken dish will soon become a family favorite. This chili recipe is going to be a step above the rest with its great taste and consistency. 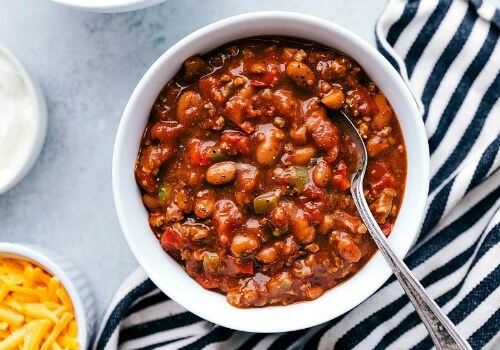 Bacon, sausage, and beef highlight the meats in this chili, while a variety of veggies and seasonings bring the beans and everything else together seamlessly. By the time this chili is done slow cooking, every bite will be a mouthful of flavor. So the next time you are in the mood for chili, give this recipe a try. It is hard to argue against the simplicity of using a slow cooker to make a meal or side dish. 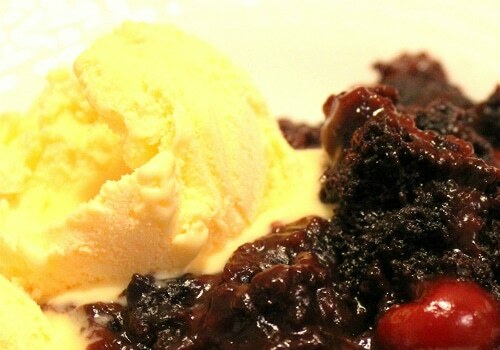 It is tough to argue it when the end product also turns out delicious. This list from top to bottom is full of recipes that meet both of these requirements. So whether you are looking to prepare a full blown meal for the family or a cheese dip for the big game, this list will have you covered. And, If you are looking for a great slow cooker, make sure that you check out our list of the best kitchen tools. We have our favorite slow cooker listed as well as everything else your kitchen should have. We would love to hear how any of these recipes turned out for you in the comments below, so please feel free to share!